Time is like gold dust, slipping through our fingers; how much time, in our increasingly mobile lives, do we spend sitting in boring queues of traffic, late, anxious, frustrated, stressed…and with nothing much to do? Many local radio stations broadcast regular traffic reports around the hot spots, indicating hold ups, incidents, delay times; tune in before you leave, allow time or plan a different route. Buy a vehicle tracking unit or try the latest technology on the market, the iPhone tracking app, it offers huge potential for viewing reports, planning a different route, receiving/sending alerts, and at a great price. If you’re stuck solid, on a slow wheel to nowhere, don’t despair: with some thoughtful ‘in the event…’ planning, the gold dust can be put to good effect. Keep an old envelope and pencil stub handy; jot down your thoughts on a strategy for a current work project, client portfolio, upcoming meeting. Turn the radio down and stimulate your brain to think, imagine, problem solve, plan. Yay, a happy, chappy client. In a similar way, if you’re a company owner, think of some great new marketing procedures that your staff could work on to increase clientele. Is there anything new out there that is worth exploring further? Make notes and draw up an action plan. Stuck to the tarmacadam like glue? With most people getting internet access on mobiles, it’s amazing how quickly time can elapse when browsing around the net. Look at your marketing plans: can you research these new areas in more detail, make notes? Whilst driving, this is reckless and selfish, unless with hands free; Depending on how long you think you might be er…stuck fast, then why not give your clients a courtesy call or catch up with old contacts and business associates: you might win a new client. Try tuning in to a radio station you wouldn’t normally listen to. How about BBC Radio 4 for great current events; try your hand at a phone in, or BBC Radio 3 for some soothing classical music. Put your head back and relax, enjoy the free time. Hey, it’s gold dust. So, easy rider, set your alarm, get behind your wheel, and maybe get out at your destination richer, fitter, more alert, more skilled, more intelligent, clued up and firing on all four engines. NB >> Most of these are only to be attempted if your engine is turned off and you’re vehicle stationery. It is not advisable to attempt whilst your vehicle is moving, even slowly. No responsibility can be taken by AutoAlert or SEJ PR & Editing Services from any incident arising from attempting these suggestions whilst your vehicle is moving. Thank You. 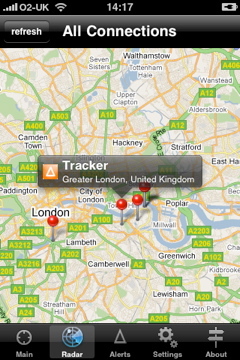 AutoAlert Tracker Application V2 is now live in the iTunes store. 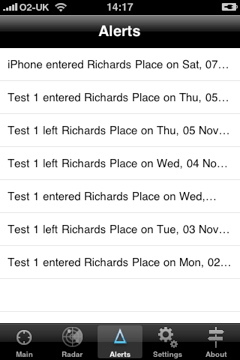 Please note: This application has now been superseded by our AutoAlert Monitor application for iPhone and iPad. 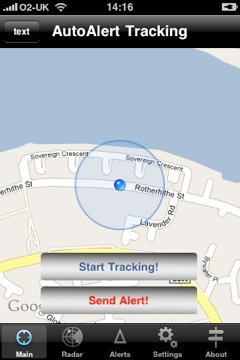 Send your location to the AutoAlert system so that you can monitor and track your locations. View your current location from within the application as well as see the latitude and longitude sent to the AutoAlert System. View the latest location of all registered devices on your account using our unique Radar feature. View alerts when you, or any of your registered devices have entered or left preconfigured areas. With new technology there any various different ways that you can track your vehicles. What technology you choose may vary somewhat depending on the size of the vehicle fleet. Large fleets tend to use equipment that is more elaborate because they can afford the greater cost, while small and medium-sized fleets generally use less expensive systems that offer less functionality. New technology, however, is rapidly changing the cost effectiveness and quality of tracking systems available to these small and medium-sized fleets. Large fleets that can take advantage of economies of scale typically use some form of GPS tracking and a central base station or dispatch point. The vehicle units can be quite expensive, as can the base station infrastructure and staffing requirements. Only the largest fleets can usually afford the capital investment that is required and the long timeframe that is needed to gain a return on that investment. Additionally, these types of systems require a monthly fee that can quickly become quite expensive. Most small and medium fleets will use some variation of vehicle tracking that is less costly to implement and support. For some this means using radios and a dispatch center, mobile telephones and a central office, or something similar. They may have a computer-based tracking process in the central location or, for very small fleets, they may opt instead for a simple map and manual tracking. Quite a number of small fleets, in the range of one to ten vehicles, do not use active vehicle tracking at all. This may be due to the costs involved, lack of experience with tracking processes, or lack of awareness of the significant benefits that can be realized by an effective vehicle tracking system. The newest technology available has the potential to radically alter the affordability and efficiency of vehicle tracking systems. Pioneered by AutoAlert, this system uses a small unit installed in the vehicle and a web-based interface that is accessed by a standard mobile telephone, laptop computer, or PC. The advantages are many. First, the start-up cost of the system is extremely reasonable due to the relatively low cost of the vehicle unit itself. Second, there are no ongoing subscription or maintenance fees, thereby minimizing operating costs. 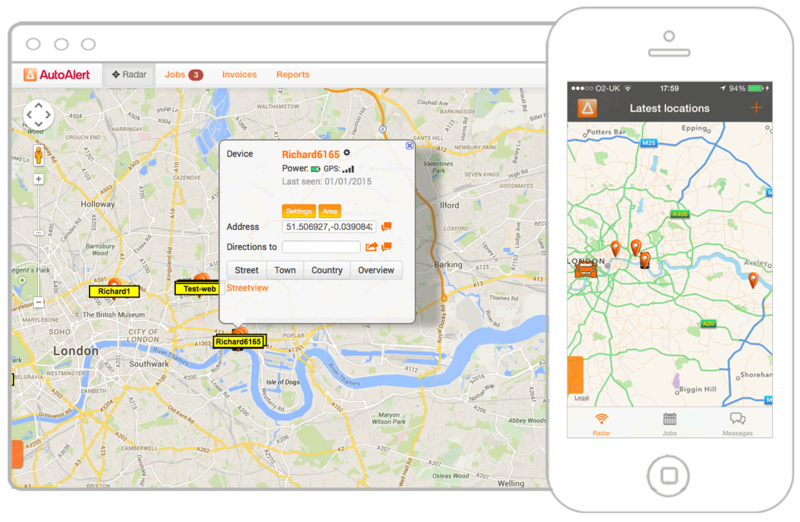 And third, fleet managers can get access to tracking information from wherever they may be with just their mobile telephone. This allows them more freedom to get out of the office and into the field where their time is best used. For the first time, small and medium-sized fleets can gain access to an economical and easy to use vehicle tracking system. This means they can start reaping the benefits of reduced driver downtime, more efficient dispatching, field replenishment of supplies, etc. 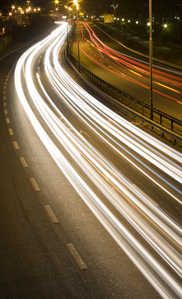 In a competitive business model, the extra edge gained from efficient vehicle tracking can mean the difference between a fleet owner prospering or just getting by.